I know a lot of people love lentils but honestly, even if they were Paleo, I’m not sure I would eat them. They just don’t have as much flavor as some meat or veggies but that’s my just my opinion. Sorry, I’m not doing a good job of selling this meal, am I? But my family does like them once in awhile so I thought I would try to make some. My friend (thanks Jennifer B!) 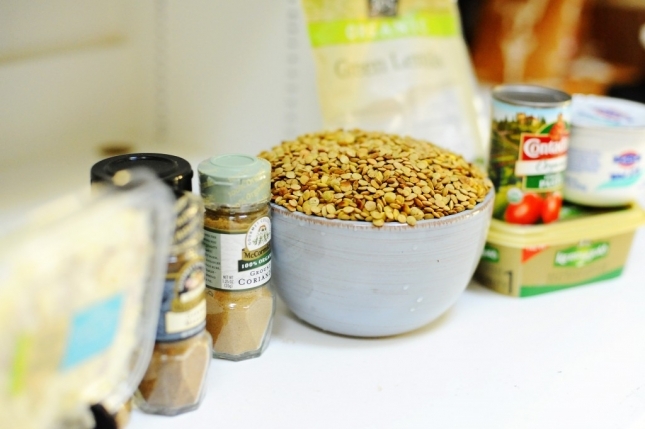 sent me this recipe and the flavors sounded like it was right up my family’s alley. And you know what? I tried it and liked it, and more importantly, my family really enjoyed it! Start by soaking your lentils. 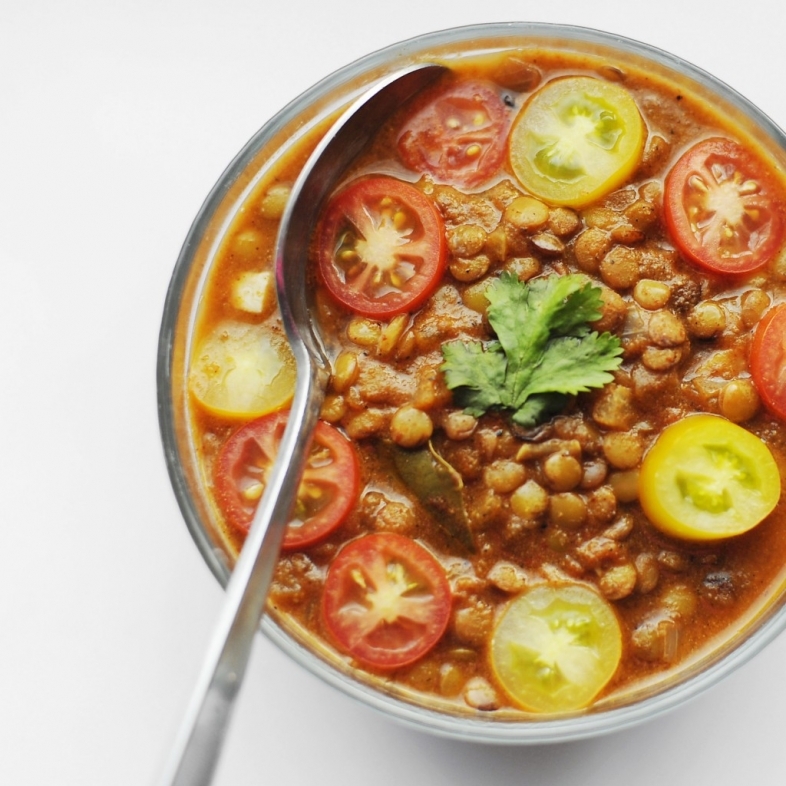 All you need to do is pour the lentils in a bowl, fill the bowl with warm water until it reaches the top of the lentils and allow them to soak for at least 6 hours. I soaked ours overnight. If you want to know why we soak them, read this for a detail explanation. Oh and by the way, be sure to use a bigger bowl than you think you need. After soaking ours, they started spilling over the top of the bowl, as you can see. 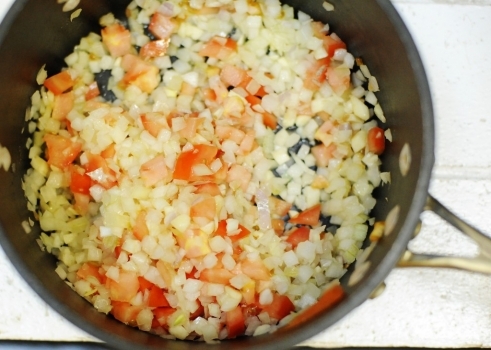 Now chop your tomato and onion and sauteed them with your butter. Next, add lentils, water and bring to a boil. Then add all of your spices, lower heat to low medium and allow to cook for 25 minutes until lentils are soft. Lastly, add your yogurt, tomato paste and then garnish with avocado, tomatoes, cilantro, and/or lime juice and enjoy! 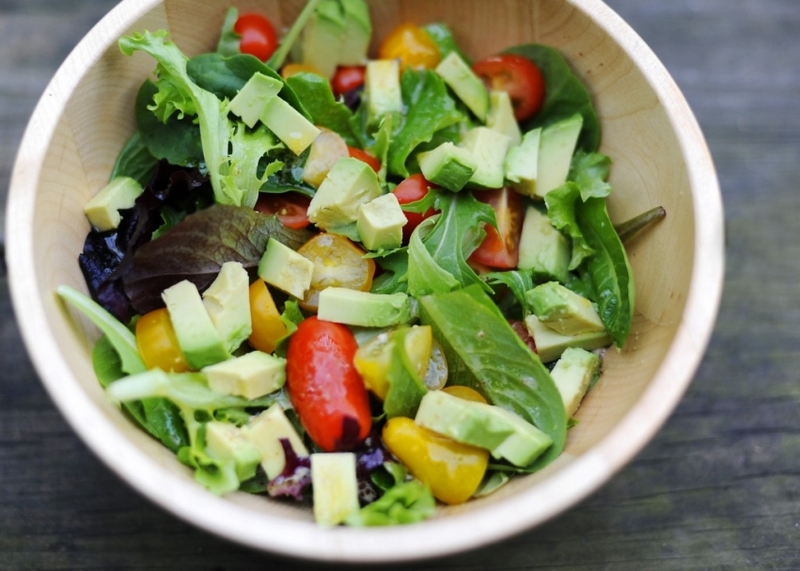 My family ended up garnishing it with lots of avocado and it really enhanced the flavor. What’s not good with some extra avocado?! And, being the meat eaters that we are, I think next time I’ll add some sausage or chicken to the recipe. But it was good alone too, for what it’s worth! This is a new staple for us! 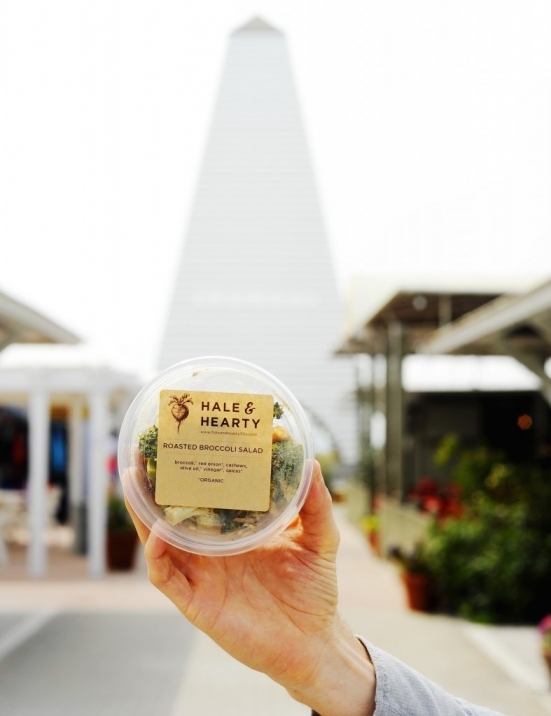 be sure to head over to the Saturday Seaside Farmer’s Market and check out Marla’s new organic, gluten free (some dairy free), pre-made frozen meals called Hale & Hearty! YAY, now you don’t have to cook or go out to eat and deal with the crowds (or the junk food!). 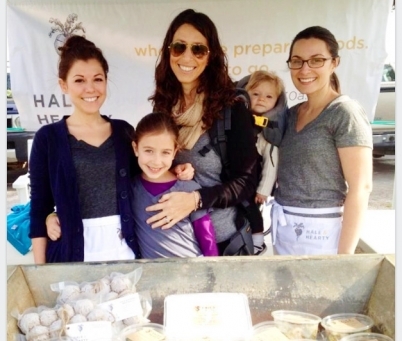 Click here to check out their mouth watering menu. Seriously, how cute are these guys? How can you not want to go visit them?? Happy almost Spring…well here in Atlanta, at least!